How do you get millennials engaged in charitable giving? This question is often asked by non-profits, but few have found successful answers. 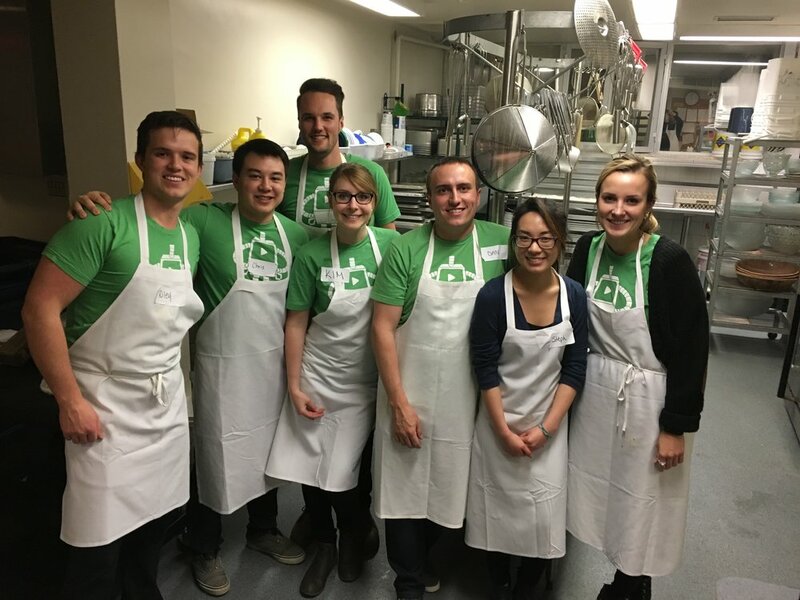 However, one tech-company in downtown Kitchener has made giving back one of their priorities, and has successfully engaged their employees, as well as the wider community. Vidyard, a local tech company that specializes in video platforms for business, has spent a considerable amount of time engaging and working with local non-profits. Last year they started Plugin—which is now its own independent entity—to connect young, working professionals with charitable organizations through events. “Plugin was a creative way that we could support local, charitable organizations . . . and get the tech community out in a way that wasn’t just writing a cheque,” explained Laura Flatt, a Vidyard employee and Plugin organizer. Plugin events sponsor one local charity, which receives all proceeds from the event. The first one, a ‘90s-themed movie night at Apollo Cinema in downtown Kitchener, sponsored House of Friendship. Along with proceeds from the event, Plugin volunteers also created a video for House of Friendship, which showcased their programs and impact their work has on the community. The videos are played at Plugin events to let participants know what they are supporting, and then given to the sponsored charity to be used in the future. Now, the events are well-known, and tickets sell out in advance. Plugin is geared towards young, working professionals, and uses unique themes and interactive activities to engage attendees. The events also expose work that non-profits conduct, and inspire attendees to get involved and volunteer their time and talent. A group of employees from Vidyard now volunteer at House of Friendship’s Men’s Shelter serving up meals. There is also an internal Slack channel that the company uses, dubbed “Changeyard,” where volunteer opportunities are shared, and people sign up with friends, or individually. On a more corporate level, Vidyard has also started donating their leftover catering to House of Friendship’s downtown shelter. This small gesture allows them to ensure food isn’t wasted; instead, it goes to those in need of a hearty meal. Vidyard is always looking to help fill gaps, and engage their employees while making a difference in the downtown community. Many employees want to give back by using their time and talent, such as graphic design, website design, and videography. However, they aren’t always sure how to help, or where they can get involved. Thanks to Plugin, many people are connecting with local organizations and learning about who they are, what they do, and what gaps need to be filled. While the charitable sector is great at tapping into hearts, the tech-sector is great at tapping into heads. According to John, when the two sectors come together, they create powerful relationships and tackle problems together. Both Laura and John emphasized that conversations are the first step towards bridging the gap between the charitable and tech-sectors. Once both sides agree on what they can offer each other, amazing work can begin to happen, and that’s exactly what Plugin is working to achieve—creating a bridge between the two sectors, and allowing people to connect and create positive change in the community. More information about Plugin and their upcoming events can be found online at www.pluginkw.com.